If you are intending to purchase a vacuum cleaner, but want it cheap but also qualified, you must find this article helpful. There’s a universal question, do the pricey products always beat the cheaper one? Well, they do sometimes, but not always. Sometimes the cheaper ones can beat other relatively pricier than them. The Eureka easy clean 71b is one of them. 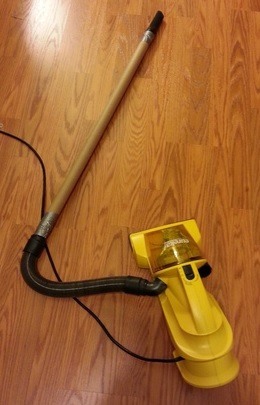 Usually people try to buy cordless vacuum for portable usability and convenience. It is true that they are convenient, but that extra convenience comes with extra price. If extra cord won’t bother you, but you crave for something cheaper that will compete strongly with the cordless ones. 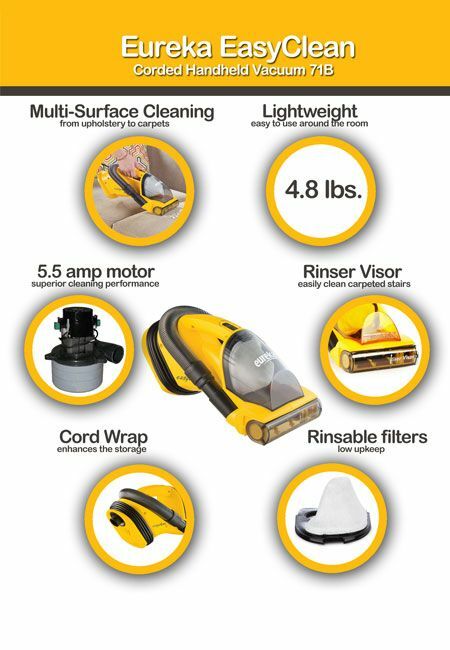 There comes Eureka easy clean 71b corded handheld vacuum cleaner. It is outstandingly cheap, surprisingly good in quality. The cheapest, but will give you support like the cleaners with 100-150$ price tag !! It is the cheapest vacuum of this price range. It is a very underpriced vacuum cleaner. Moreover, it can clean stairs effectively with it marvelously engineered model structure alongside other portion of your house. Lower frontal part for upper part of stairs, front-facing part for the slope of stairs. A long hose that can be attached to it ensures the cleanse of edges and the junction of two stairs, makes it the cheapest but great solution when it comes to cleaning your stairs. And you might know by now, stairs are the most critical place to clean with a vacuum cleaner. Cord Length – 20 ft. Cleaning Path Width – 6 in. Shipping Weight – 7 lbs. A crevice tool that can be used for cleaning narrow places. It might seem too simply boxed vacuum cleaner to you but you really cannot get anything better within these price range. And additionally, there is a wide range of accessory that fits with it is always available. Feel free to try them out if you think you are out of options. Stronger suction: It possesses incredibly strong suction even in this price range. Easily clean stair’s slope: As I said earlier, slop of a stair is a very critical place to clean but Eureka easy clean 71b made that so simple. Just downgrade the plastic cover of the front and you are good to go. Very useful yet hassle-free way to clean the odd slope of your stair. 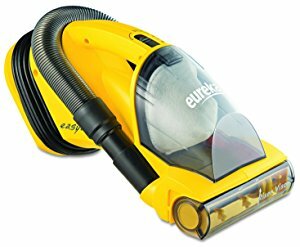 Very lightweight: The Eureka easy clean 71b is lightweight, only 4.8 pounds. And whenever the capability of cleaning stair of a vacuum is in question, how much it weighs comes first. The Eureka easy clean 71b is very lightweight, so great for stairs. Probably the greatest at this price point. Long cord: If you buy a corded vacuum for stairs, it must not be the one with a shorter cord. The Eureka easy clean 71b comes with a good quality 20 feet long cord. Great for stairs. Portable and compact in size: Moreover, the cord can be twisted thus giving it a very compact structure. You can store it anywhere. Two motors: There are two motors in the Eureka easy clean 71b, one is used for revolving brush and the other powers the suction. Convenient Accessories: Various types of extensive accessory come along with the Eureka easy clean 71b that makes it very easy to clean with different type floor or stairs. Carpeted or hardwood, it can be the most quality-full cheapest solution. What Are Other Buyers Saying About It? An owner of two cats and two fabric-covered couches, Yupi living in the long island, NY confirmed that he is very much happy with the Eureka easy clean 71b. There are a lot of positive reviews about this product. But I picked Yupi’s review because of his possessions. How two pet cats make a fabric covered couch dirty, you can acknowledge that only if you have so. If the Eureka easy clean 71b can satisfy this customer, then no question about this should arrive. So, what are you thinking about the Eureka easy clean 71b? The best way to check that out is to purchase one for yourself. Buy one today.